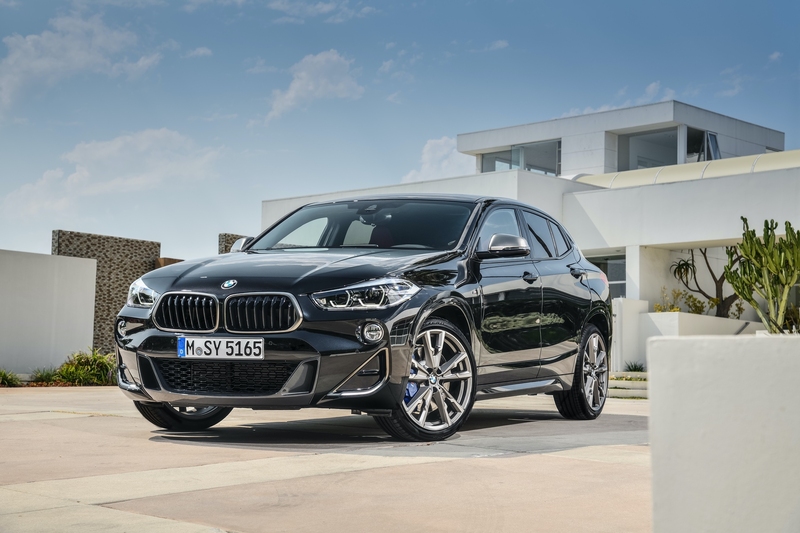 Recently BMW revealed its long awaited 300 hp four cylinder engine under the hood of the BMW X2 M35i. 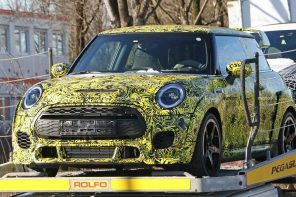 Long awaited because we’ve been telling you about this engine and MINI’s plans to use it a 300 hp MINI JCW for almost five years now. Yes ladies and gentlemen, this is the engine we’ll see in the an upcoming MINI JCW Countryman (and potentially Clubman) sometime next year. And now BMW has given us our best look at it yet. Now that we have a few official details, let’s dive in and take a closer look. 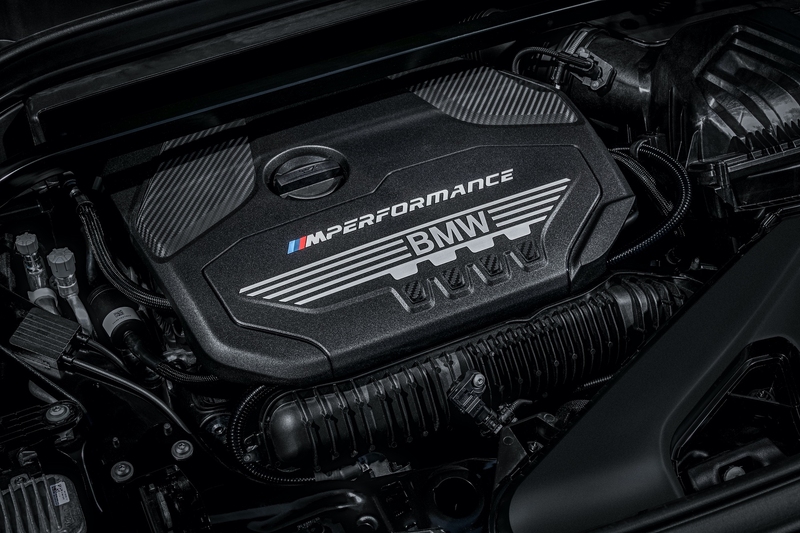 The B48A20T1 2.0L generates 302 hp @ 5,000 – 6,250 rpm in the new X2 M35i – figures that should be similar (if not identical) figure in the upcoming MINIs. However more impressive is its torque – 332 lb-ft. @ 1,750 – 4,500 rpm. The combination of those figures with improved xDrive/All4 and the Aisin 8G45 8 speed automatic will move the X2 M35i to 60 mph in 4.9 seconds. Compare that to the 6.3 seconds it takes the X2 30i (using the current 228 hp JCW engine) and you have an idea of what the JCW Countryman will do with the same power. With the current JCW hitting 60 mph in 6.2 sec it’s safe to expect we will see a 0-60 mph time at or below 4.9 seconds. 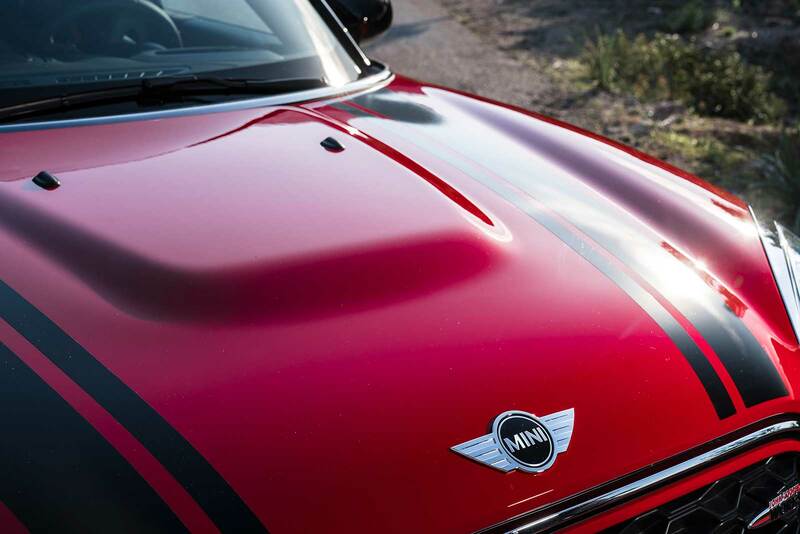 According to the recent BMW press release, “to achieve such high performance results, BMW M left almost no major engine component group untouched.” If we’re to take this sentence at face value, this would be the first MINI with any BMW M magic applied to it. What did they do specifically? To start with the crankshaft has been reinforced and features larger main bearings. Then there are new pistons fitted with slightly reduced compression ratio (9.5:1 vs 10.2:1) allowing for a larger turbocharger and increased boost. The intake airflow tract has also been improved for higher flow while the cooling system has been upgraded to keep it all at a proper operating temperature. To deal with the 332 ft lbs of torque BMW is making all wheel drive standard in the X2 M35i just as MINI will in the upcoming JCWs. Sadly the same can be said for the 8 speed automatic. Yes, the 300 hp MINI JCW Countryman will be the first JCW product (and only the second MINI ever) to not be available with a manual. The benefit is performance. 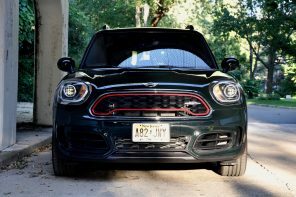 Leveraging the all wheel drive and 8-speed sport automatic transmission, MINI will offer An improved launch control allowing for consistent all-out sprints from a standing stop. More importantly for the first time ever, a front axle BMW M Sport likely rebranded for MINI) Differential makes its appearance and features Torsen-based limited slip capabilities with up to a 39% lock-up. The new M Sport differential is integrated into the 8-speed automatic transmission which itself features steering wheel shift paddles, M Performance specific tuning, additional transmission cooling and updated gear ratios. Bet on the 300 HP MINI JCW Countryman to see these upgrade as well. 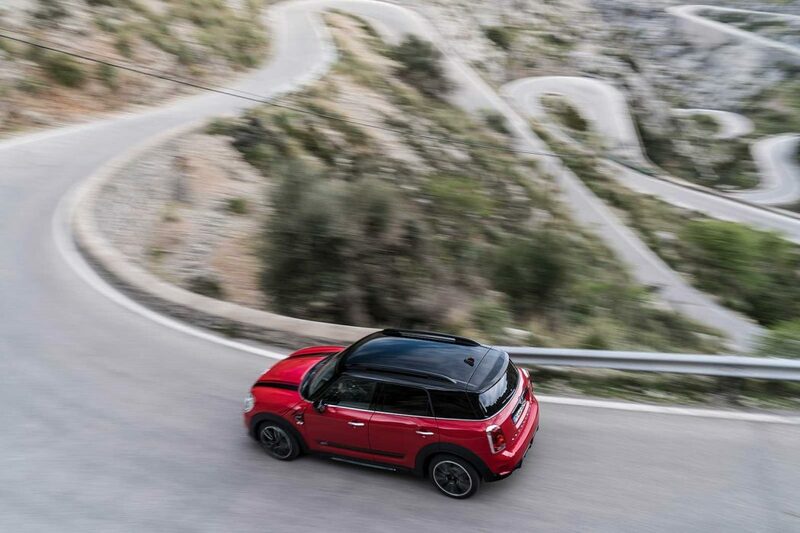 We’re expecting the 300 hp MINI JCW Countryman to debut sometime in the first half of 2019. If a similiar specced Clubman comes to fruition, we’d expect it’s to appear around the same time.